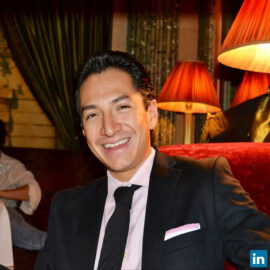 Marco Álvarez, Co-Founder and CEO. In January 2009, Marco co-founded Salus Holdings with the objective of developing high quality services for rapidly growing “Senior Services Industry”, and in turn is succeeding in operating the largest network of integrated services in Mexico consisting of: i) Home Healthcare Services, an innovative home healthcare company currently serving over 1000 families each month with a talented team of 400 employed caregivers empowered by a proprietary technological platform developed to optimise operations by connecting the right caregiver with families at their homes ii) Adult Day Centres, a first-of –its-kind concept of memory day care centres in Mexico that provides a comprehensive program of person-centered opportunities and health services within a social environment that increases the quality of life for the elderly and their care partners, while maintaining independence and the virtue of living in their own home. iii) Affordable Health and Elderly care Education, with an innovative approach; our Universities are leading people living in underprivileged neighbourhoods to purposeful and well-remunerated jobs. Marco has 10 years of entrepreneurial and C-Level experience in the nascent seniors services industry in Latin America, while also carrying out senior living and healthcare assignments in Europe and the United States. Marco is also a founding-board-member of the Mexican Seniors Housing, Adult Day Centres and Services Association, as well as a board member and chair of the international chapter of the Adult Day Services Association in the United States. He holds an M.S. in finance from Harvard University, a specialty trading degree from Instituto de Estudios Bursatiles de Madrid and a degree in Social Gerontology from Universidad La Salle in Mexico City and the Sorbonne University in Paris.